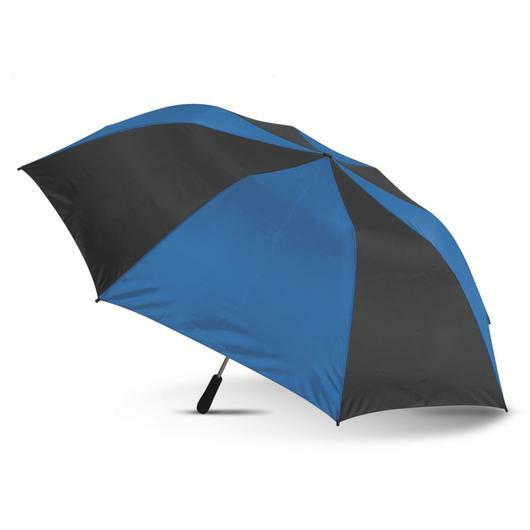 A moderate sized umbrella that will fold down to a smaller size when not in use. 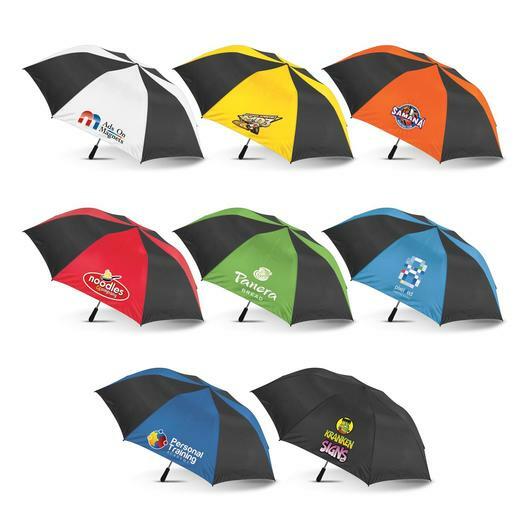 Get your logo seen with some of these double fold 71cm, 8 panel umbrellas with an auto opening. They feature a strong 190T showerproof canopy which folds down to 55cm in length when not in use. The 8 rib frame is made from metal with fibreglass added to ensure it's both flexible and windproof. Other features on these umbrellas include a two stage expanding metal shaft with matt plastic hand grip, 190T slide on carry sleeve, plastic tips for safety and a Velcro tie and hand strap.